How to find best interior design companies in Bangalore? Though this is the digital age and most of our work does get done online, this is one meeting that you would be well advised to do in person.The interior designer that you would be hiring to do up your home or office would be working on your behalf creating a space that reflects your character. He/she would be choosing your couch, cushion and love seat and rugs and before you entrust them to know your taste, a personal meeting is a must. Ascertain their experience, learn to trust your instinct and find out how best you get along with the designer since you will work closely with them. That apart, with the market being flooded with too many interior designers, it would be best to check in person whether they run a legit business and if they can be trusted to design your space. In today’s age of social media, it is easy to find out how one’s work is rated. Check out the Interior Designer’s social media pages for comments and reviews from existing customers. 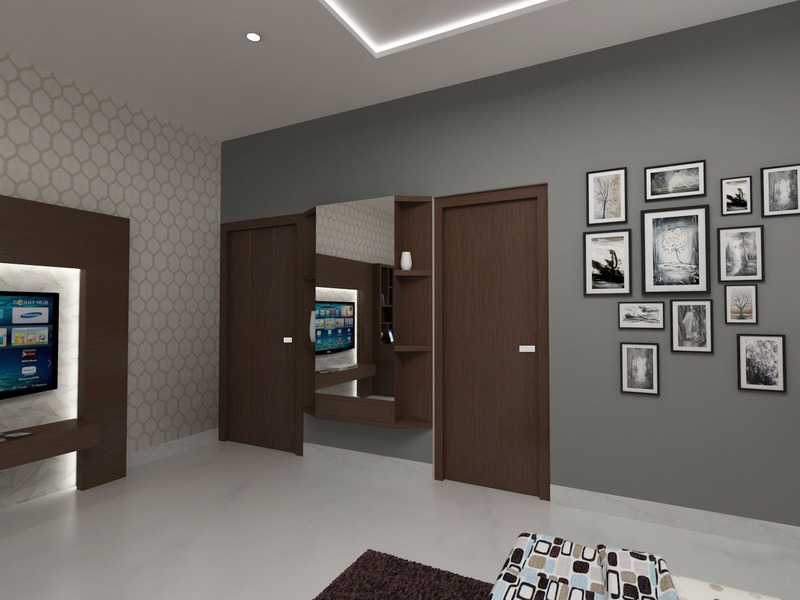 You can also connect with these customers online and get their feedback about their experience in working with the interior designer in question. This would give you some valuable insights into choosing the best interior designer in the city. There is nothing more revealing than checking out an ongoing project. You will know more about their team, their work ethics, experience and industry expertise with just one visit. Most interior designers will have a manufacturing unit where they would custom-make furniture or any other pieces that are necessary for a project. A visit to this unit will give you an idea of how they work for their clients and the materials and technology that they would be using. Interior Decorators today advertise a lot on social media and while some of them have a genuinely great unit and team, many of them don’t. They rely on hiring third-party artisans and workers to help finish a project. These interior designers can’t deliver a custom-made project that would be unique in character because they do not have an exclusive team of their own. That apart, this also has a major impact on the timeline and promised deadlines. How to choose material for Home Interior design? This would be the first thing to do before you decide what you need for a particular space. Measure the space and create a plan as to what needs to go where. In your plan, mark out space where you will be setting up each furniture. When you mark out space, make sure you have enough space to walk around the room. Natural lighting and cross ventilation are two important aspects of interior design. Natural lighting and fresh air saves you the necessity of using lights or the fan or air conditioning. It is important that a balcony or window(s) that brings in these aspects into space be used to the maximum and must not be blocked or removed by any means. The rule of the thumb in interior design is to plan the room around a focal point and the rest of the design would flow from this. It could be an antique mirror, or a lovely chandelier, a mink vase or even a cherished painting. What’s dear to you reflects your character and my building the room around that theme makes the room entirely yours and would evoke your touch everywhere. Colours can be chosen keeping the focal point in mind. For e.g. if the focal point is a rather large painting then the colours of the painting can be replicated to a small degree around the room. At the same time, the size of the room needs to be kept in mind while you are planning the interior design. A small space needs to be designed with light colours, white being preferable or at least shades of it as it gives an illusion of space. Adding contrasting colours on the walls is a sure way to gain attention towards a shelf of photographs or an antique gilded mirror. Colours do not mean the shades on the walls, they also encompass the colour of the furniture, the carpets, or the wall paper for etc. Do not go for an overload of bright colours. Maintain a balance lest you overdo. We all have one favorite spot in our house that is completely designed with our name written on it. Interior design is all about creating that favorite spot. Whether it is by the window overlooking a garden, or a cosy window seat with billowing curtains or an uber comfortable lazy boy in front of a Megatron television, it is up to us to create this comfort zone. Keep experimenting with your furniture and find that perfect position that makes your space a true home for you. There are truly no rule books or guidelines when it comes to interior design. Only ideas exist in this universe of paradox and most often than not, new ideas get to replace the old traditional ones. In truth, one needs to find a style of their own to bring the space to life and to give it character. One can be strictly modernistic, minimalistic or eclectic to do that or find a style that combines the best of each style. Your interior design is the reflection of your personality and it needs to showcase your likes and character and at the same time, it must be a comfortable hearth where you and your family can snuggle up and spend the day in leisure and comfort. Your goal is to that end. So get on it. Finding a reliable interior designer is tough. The designer needs to truly understand what you need in a home and more importantly deliver the same on time and within budget. Before you hire a designer, you will need to check out their portfolio in real time and get a feel of how they work. Many prefer to check out their work in progress to understand the quality of the materials that they use, the workmanship of their team and the way they coordinate the project. Have a detailed discussion with them about your requirements and make sure they have understood what you have in mind. Ask for detailed quotations for each work that your designer is suggesting. Make sure you know beforehand what materials would be used and how much they would cost. The quotation that the Interior designer / Contractor presents must be detailed with measurements of each unit that would be renovated and along with a rough estimate of the cost as well. That way, you won’t be surprised (or shocked) in the end. This is your space that is getting renovated so do not shy away from asking questions. Get a second opinion on the quotation or individually check the prices of materials to ensure you are not being taken on an expensive ride. If there are any structural changes to be done then it’s better to get it before investing on the interior design. If the structural changes involve changing the existing electrical and plumbing, then it needs to be completed before the interior designer starts the work or else it would end up being more expensive for you. Space is sacred especially if you are renovating a studio apartment. There are many ways that one can make optimum use of space through larger sized light coloured tiles. This gives an illusion of larger space. Wall mounted fixtures will help maximize space and make the interiors look more spacious. Multipurpose rooms and furniture, wall mounted beds, ceiling to floor bookshelves and creative usage of room dividers can help create nooks within the space. Area rugs too can be used to great effect to demarcate space in studio apartments and rooms. They say that the devil is in the details and they are right. Whether space is big or small, it is the small details that really matter when you take in the overall look. Thoughtfully personalized decorative items add more character to space. Bring in some greenery through plants or flowers and create a focal point and let the rest of the design flow from there. Designing a space is a challenging prospect that some of the best interior designers in Bangalore like Design Arc relish. It is always better to hire a professional to design a lovely space for you than stress yourself over a DIY project.